BCM Solutions, Inc. will provide security and event staffing for the Honda Grand Prix of St. Petersburg throughout its 2012 race week, March 19-25. To date, BCM’s Solutions has been a primary security and event staffing solution to over 65 NASCAR sanctioned racing events – at such well known venues as Daytona International Speedway, Pocono Raceway and Watkins Glen. The Honda Grand Prix of St. Petersburg will mark BCM’s inaugural involvement in the IZOD Indy-Car Series. The Honda Grand Prix of St. Petersburg takes place March 23-25, 2012 and is run on a 1.8-mile, 14-turn waterfront circuit that includes a combination of adjacent downtown streets circling Pioneer Park, the Progress Energy Center for the Arts, the Salvador Dali Museum and extending onto the runways at Albert Whitted Airport, which overlook the Tampa Bay and picturesque St. Petersburg Harbor and Marina. 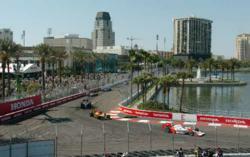 To learn more about the Honda Grand Prix of St. Petersburg, visit http://www.gpstpete.com. Follow the event on Facebook at http://www.facebook.com/GPSTPETE or Twitter via @GPSTPETE. BCM Solutions, Inc. was founded in 2003 and is headquartered in Wilkes-Barre, Pennsylvania. BCM is the Number 1 Security and Event staffing solution in Motor Sports, having been the primary security solution to over 65 NASCAR sanctioned racing events. BCM also provides nationwide security and transportation solutions to Experiential Marketing companies and their brand customers.